It was an unseasonably hot month for real estate across Canada in November, reveals the latest data from the Canadian Real Estate Association – but that robust activity isn’t expected to carry over into the new year as new mortgage rules take hold. The Greater Toronto Area housing market continued its downward spiral in July – for the third consecutive month – as sales dropped a whopping 40.4 per cent, reveals the Toronto Real Estate Board. Was Last Year’s Home Down Payment a Good Investment? It’s no secret that home prices are rising across the nation. 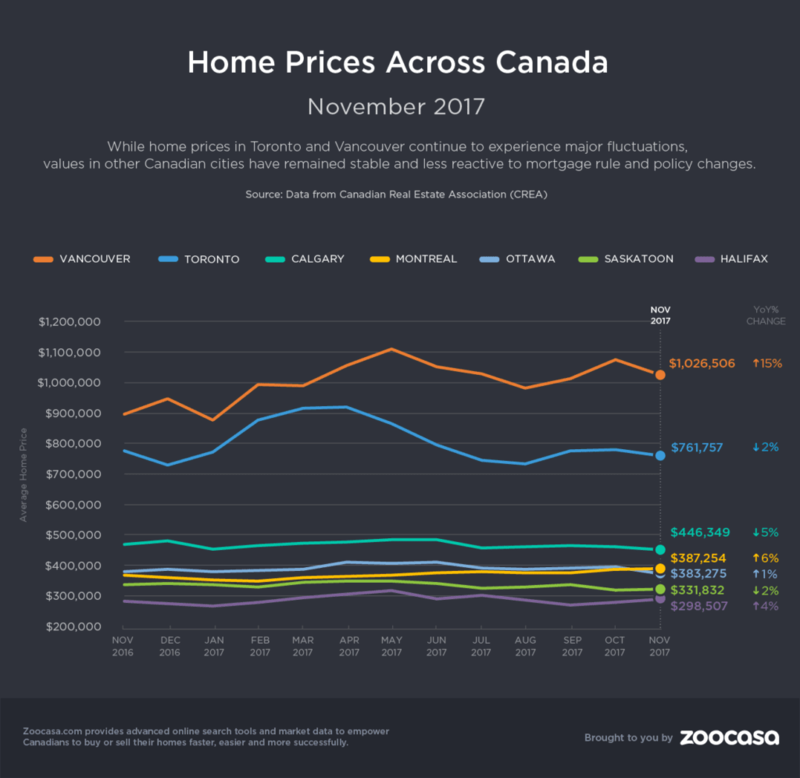 The latest numbers released by the Canadian Real Estate Association find the MLS Home Price Index rose 16% from this time last year, and the average national home price is now pegged at $519,521 – a 3.5% increase. Looking to break into the Toronto real estate market, but seek more square footage than the typical condo provides? Given the average house price now tops $1.3 million in the city, according to the Toronto Real Estate Board, you better have a significant nest egg if you dream of detached living.